Donated books for Arkansas Department of Correction libraries. Photo: AP Images. New York state has suspended a pilot program that would have severely limited prisoners’ ability to receive care packages from the outside—restricting everything from fresh food to t-shirts to books. 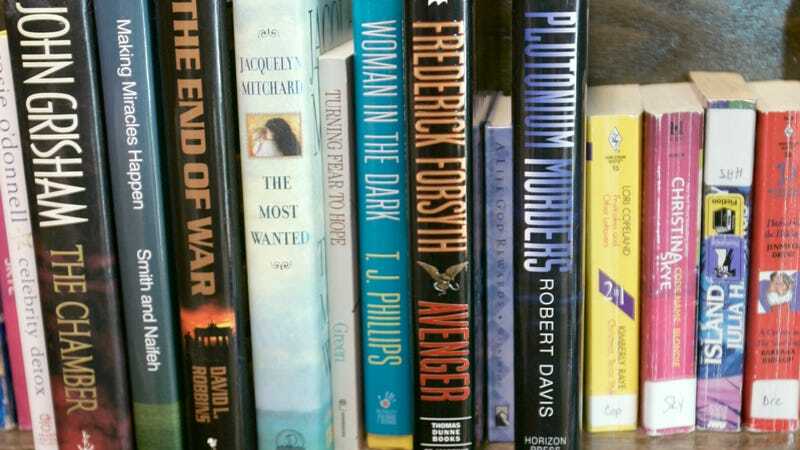 Prisons have libraries that do important work making a broad array of reading materials available, but the program would have cut out another avenue for the incarcerated to get their hands on specific books. And erecting barriers between prisoners and books seems downright cruel, especially when “one 2013 study found that people who participate in correctional education programs while incarcerated had a 43 percent lower odds recidivating than those who did not,” a New York Times piece pointed out. But a look at the catalogs published online showed inflated prices on popular items. One vendor was selling a package of Oreo cookies for more than $5, compared to around $3 at a local discount store or mass retailer. Another vendor was selling a single plain T-shirt for $10, even though many stores sell entire bulk packages for less, said Caroline Hsu, a staff attorney at the Legal Aid Society. Vendors may also charge shipping and handling fees. In the face of public outcry, ThinkProgress reported that Governor Andrew Cuomo announced the suspension of the program. This isn’t an isolated incident, either. The Department of Corrections and Community Supervision told Think Progress in their initial statement that, “Secure vendor programs are used by nearly 30 jurisdictions in the country and are cited as a national best practice.” And even as the New York State story was unfolding, the New York Times also reported that New Jersey had lifted its ban on The New Jim Crow: Mass Incarceration in the Age of Colorblindness—that is, after the ACLU got involved.